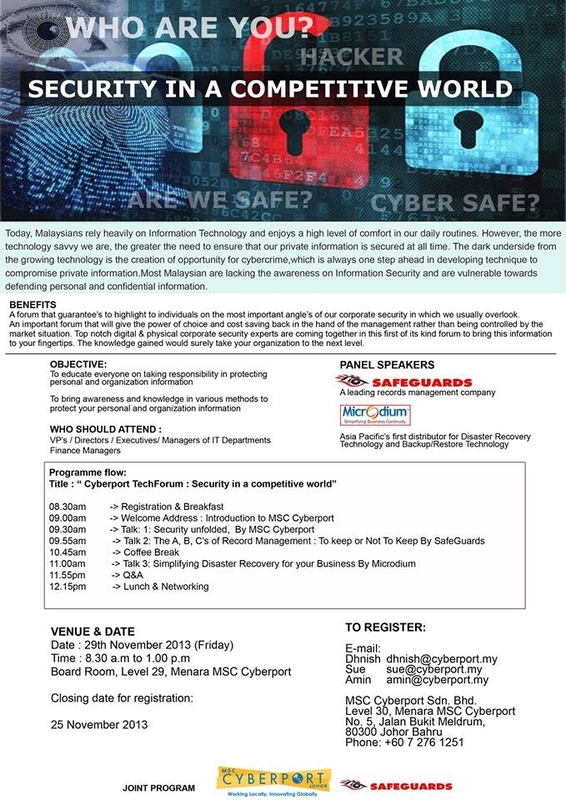 Please be informed that MSC Cyberport Sdn Bhd will be organizing a seminar on Security in Your Competitive World. The objective of this seminar is to educate everyone on taking responsibility in protecting personal and organization information. 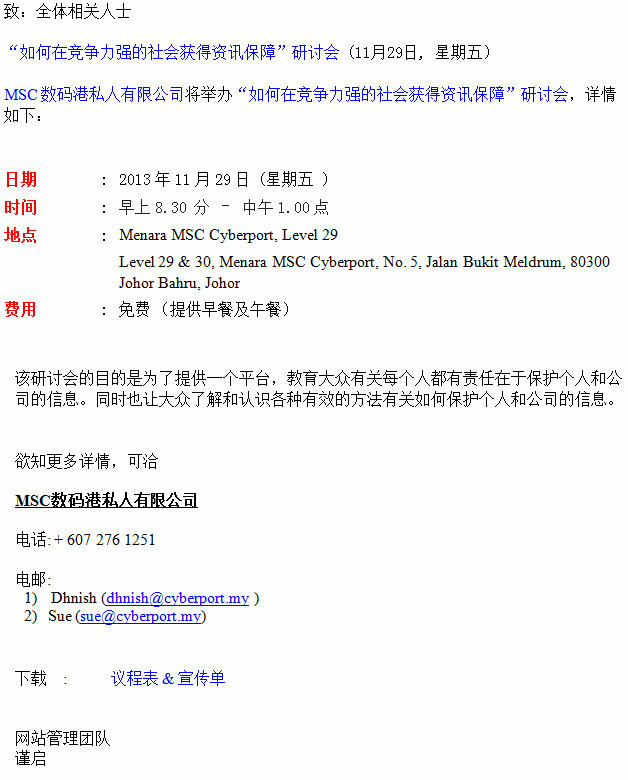 And to bring awareness and knowledge in various methods to protect you personal and organization information.